As a college student, Chris Core attended the earliest days of Brewers baseball in Milwaukee. He never could have imagined how he would still be connected to the team, all these years later. Alas, the last part of that name was Allen, not Aaron (he fell only 749 home runs short of Mr. Aaron in his MLB career, which included a stint with the Senators). But his choosing the number of the future Hall of Famer, then still playing for the former Milwaukee Braves in Atlanta, was not a coincidence. This is one of my first memories of the Brew Crew. The Brewers, in their first year in Milwaukee (1970), were awful. They finished at 65-92. Still, it was baseball in Wisconsin. I was a student at the University of Wisconsin, so the Brewers became our home team. My roommate John Norquist and I drove from Madison to County Stadium, about 90 minutes away, to see games because, well, we loved baseball. In an amazing turn of events, many years later, Norquist was elected to four terms as Mayor of Milwaukee. As part of his Milwaukee renaissance plan, John helped Miller Park, the new home of the Brewers, to get built. The Brewers began to get their act together in the late ‘70s and early ‘80s with future Hall of Famers like Paul Molitor and Robin Yount maturing into stars. But the postseason has not been kind to them. In 1981, they lost the Division playoff to the Yankees. In 1982, they made it to the World Series only to lose in seven games to the Cardinals. By 2008, the Brewers had been moved from the American to the National League, where they again lost the Division series, this time to the Phillies. And in 2011, their last postseason appearance before this year, they lost the Championship Series to the Cardinals. This year could be different. The Brewers can hit. 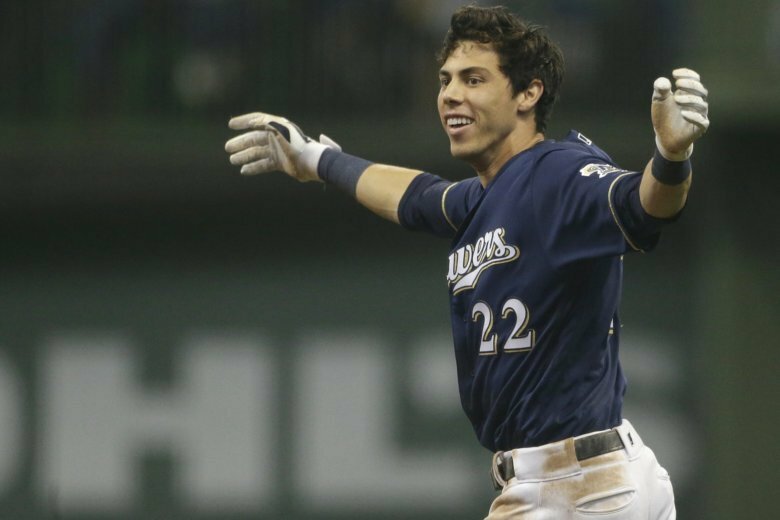 Led by outfielder and MVP candidate Christian Yelich, they can pound the ball with a batting order made up of names you probably know: Travis Shaw, Ryan Braun, Lorenzo Cain, Jonathan Schoop, Mike Moustakas, Curtis Granderson, and slugging first baseman Jesus Aguilar. Where the Brewers are short in star power is pitching. Except, perhaps, for a guy named Gio Gonzalez whom they acquired Aug. 31. Hmmm, that name rings a bell. Still they managed a very respectable team ERA of 3.75, sixth-best in the majors. And their manager, Craig Counsell, will get strong consideration for Manager of the Year. Milwaukee is a small market city, with its metro population only about a million and a half. But the fans are passionate, the beer is cold, and this team is good. It’s Brewer time at Miller Park!